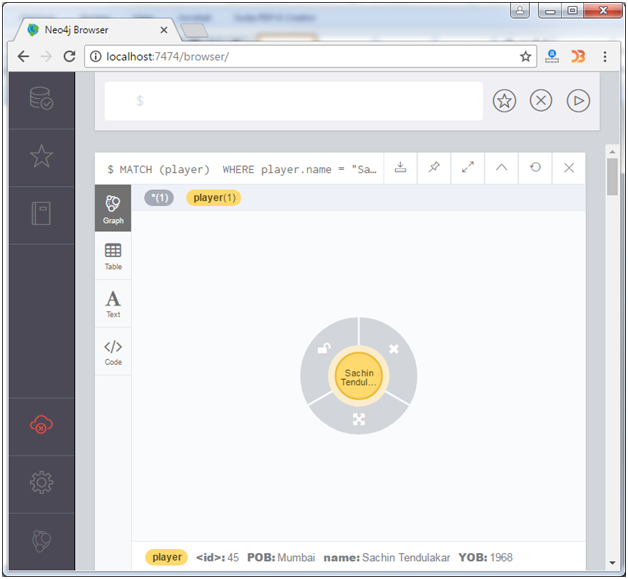 In Neo4j CQL WHERE clause is used to specify a condition to retrieve the exact data which we want to retrieve. 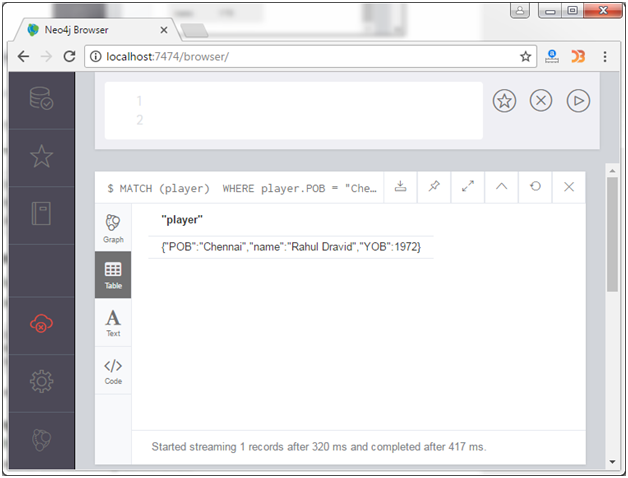 Let's use WHERE clause to return all the nodes from the Neo4j database where POB of the node (player) is "Chennai". You can use "WHERE" clause with multiple conditions. 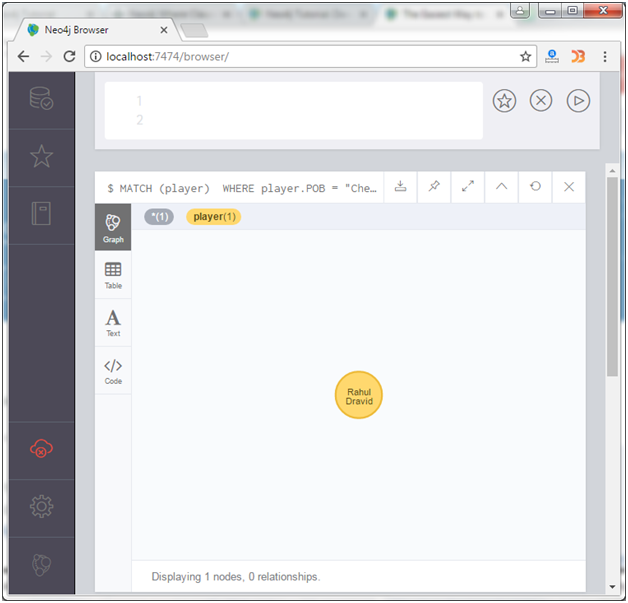 Use the following query to filters the nodes in the Neo4j database using two conditions. In the above example, we have used "AND" clause to specify multiple conditions.